Turn to Woodland Creek’s when you need space-saving ideas for your home, cabin, cottage or lodge! At Woodland Creek’s, you’ll find a wide variety of products designed to solve even the most pressing rustic decorating problems. 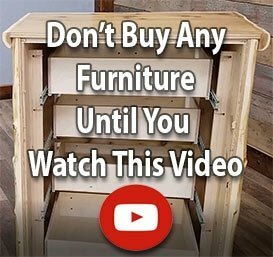 A common one is insufficient display space in your home, cabin, cottage or lodge. Wrought iron curtain shelf brackets are one solution. With more than 10 sets to choose from, there’s sure to be a rustic decor design that’ll both touch your heart and warm your hearth! 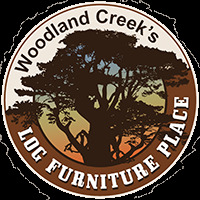 Woodland Creek’s carries rustic furniture of all types: From barnwood furniture to reclaimed wood furniture and western furniture. We also offer a big selection of useful country decorating accessories like wrought iron shelf brackets. Bring the outdoors in today with nature-inspired designs like pine trees and pinecones. Or give a southwestern decor look a whirl with scrolls, stars or horseshoes. Show off your log furniture and wood furniture pride with U.S.A. crafted wrought iron! Proudly made in the U.S.A. by Village Wrought Iron, these finely crafted wrought iron window shelf curtain brackets feature a baked-on, powder-coat, flat-black finish for long-term wear and a great looking profile. They’re sold in sets of two and fit standard-sized 1” x 6” milled boards of various lengths. Ask about a wood shelf and matching rustic decor curtain rod (sold separately).